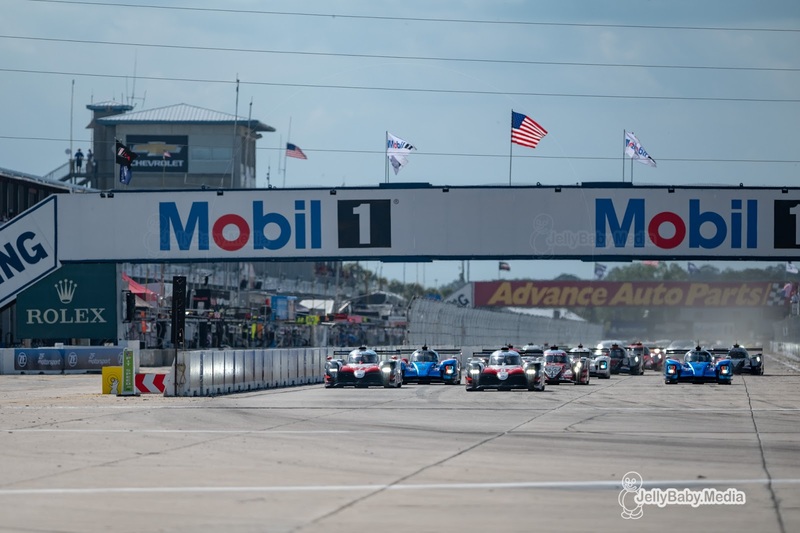 In a masterclass of speed and despite a late downpour causing chaos, Toyota Gazoo Racing scored a dominant victory at yesterday’s return of the FIA WEC to Sebring. The #8 TS050 of Fernando Alonso, Sebastien Buemi and Kazuki Nakajima took the flag after eight hours and seemed te be on course to complete the entire 1000 mile distance despite multiple Full Course Yellow (FCY) periods eating into the race time and the rain pouring down at the end of the final hour. Starting on pole in front of of the #7 sister car (driven by Jose Maria Lopez, Kamui Kobayashi and Mike Conway), Sébastien Buemi rocketed ahead to pull clear of the field. After just four laps, the pair of Toyotas had the measure of Sebring’s infamous bumps and begun to lap the back markers. As night arrived the #8 car had opened up a comfortable lead over the #7. What looked to be a faultless display by both of the Toyota crews was brought to a swift end when, with just over three hours remaining, Lopez hit the kerb hard at turn 15 in an effort to avoid the #90 TF Sport Aston Martin Vantage. 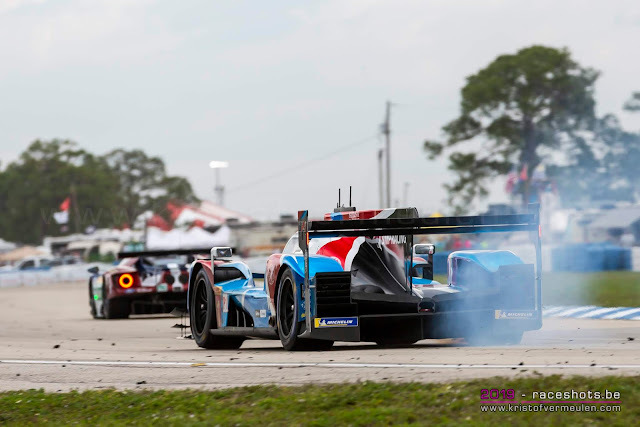 The Argentinian had to make an unscheduled stop while the car was checked, eating up four minutes of their lead over the remainder of the LMP1 field. 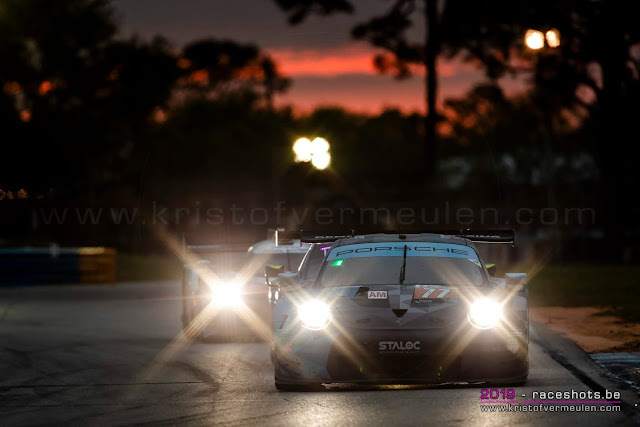 The final 12 minutes of the race were run behind the safety car following Loic Duval’s #28 TDS Racing Oreca LMP2 going straight on into a tyre wall at low-speed – guaranteeing the #8 crew their fourth win of the 2018-2019 Super Season and leaving them favourite to win the World Drivers’ title with two races, Spa and Le Mans, remaining. Thanks again to the somewhat confusing EoT regulations, the privateer LMP1 teams were again racing for scraps as the disparity between the hybrid and non-hybrid machines was glaringly displayed. 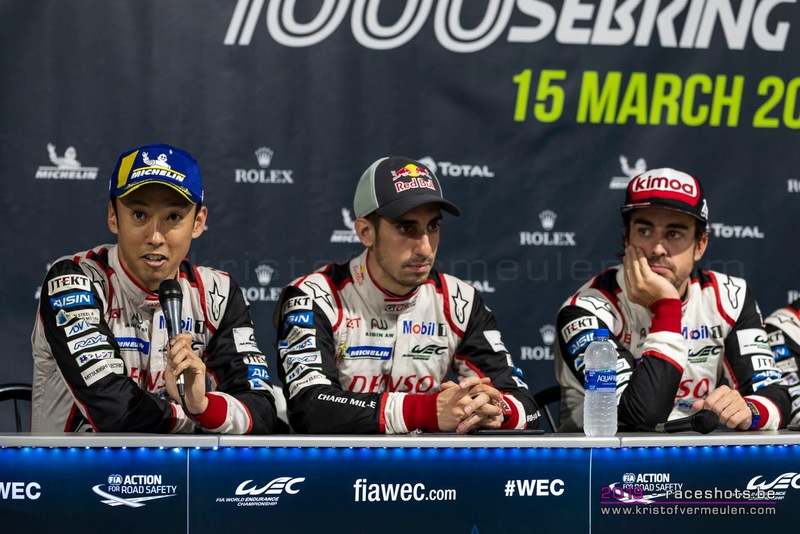 WEC returnee and fan favourite Brendon Hartley claimed a podium finish for the #11 SMP Racing BR1 which survived an early explosive tyre failure to ultimately finish third. It was a race to forget for the Rebellion Racing team. The #1 R13 had initially looked on target to claim the last of the class silverware until, with three hours to go, the car hit issues sending it to the garage. 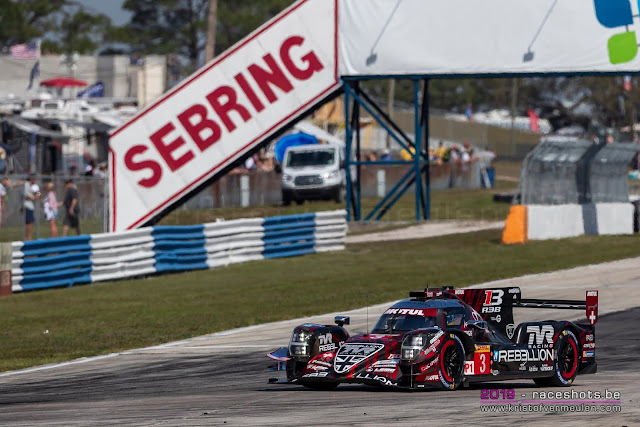 The sister #3 Rebellion also suffered a number of mechanical issues throughout the race which relegated it to a distant fourth in LMP1 and behind the top three LMP2 cars overall. The #17 SMP machine was fast from the start of the race but Egor Orudzhev crashed into the barriers at turn one just before the two-hour mark ending the car’s race; the Russian was running third at the time, having pulled clear of the #3 Rebellion in the opening quarter of the race. Also failing to finish was the DragonSpeed BR1 Gibson, which was pushed into the garage with a mechanical issue with two hours and 40 minutes still on the clock. A bold move on the opening lap of the race proved to be decisive for the #37 Jackie Chan DC Racing crew of David Heinemeier-Hansson, Jordan King and Will Stevens. 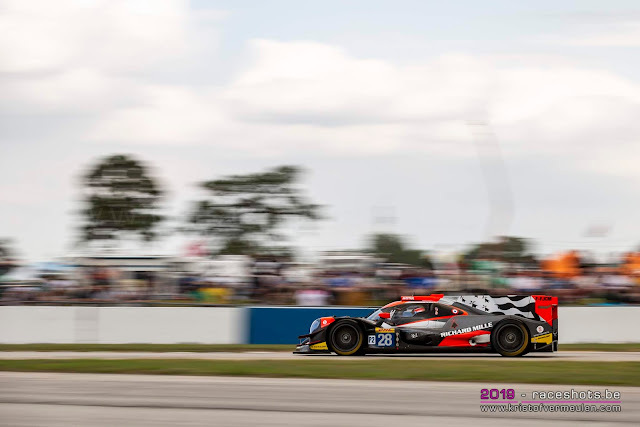 Passing their sister #38 car at turn one on the opening lap, the trio then displayed a masterclass in the LMP2 category and remained unchallenged for the entire race taking the class victory by more than 50 seconds. What better way to enter the WEC championship for this new driver trio in the #37 Oreca ? It was not joy throughout the Jackie Chan DC Racing team however as their pole-sitting #38 Oreca 07 endured a frustrating race loosing almost an hour in the pits with a gearbox selector fault (an issue originally seen by multiple teams when the current LMP2 chassis was first released). Perhaps adding insult to injury for the #38 crew they lost further time after a bizarre issue with the door failing to open during a driver change. The car eventually finished 30th, last of the classified runners. 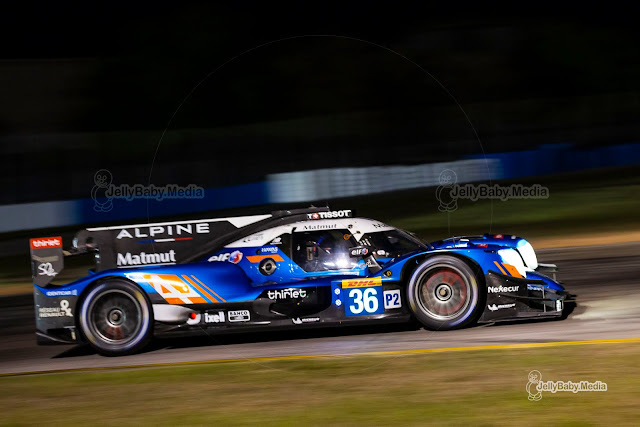 The #36 Signatech Alpine A470 of Andre Negrao, Nicolas Lapierre and Pierre Thiriet ran a clean race but could not match the pace of DC Racing, the all-French team finishing a solid second in class. DragonSpeed picked up the last of the class silverware as the #31 Oreca of ex-Toyota driver Anthony Davidson, Pastor Maldonado and Ricardo Gonzalez fought to overcome two unscheduled pitstops to replace the rear-wing – once for a failure on the bumps and once after Maldonado swiped the barriers on the exit of turn 17. 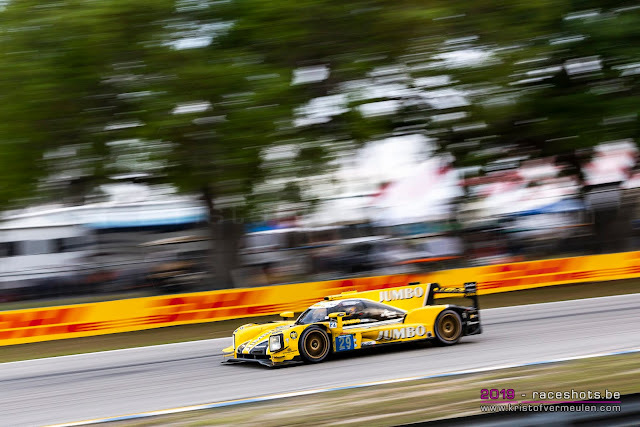 Despite a massive effort to get the car from last on the grid to P2 in class after an hour of frantic driving by Nyck De Vries, the Racing Team Nederland Dallara ultimately finished fifth in class. De Vries had been quick all week, from the testdays ahead of the race to his final stint, showing the rwa pace that's in the Dallara chassis. A problem with one of the FIA telemetry cables cost the team a 12 minute pitstop for repairs and probably their first podium finish. 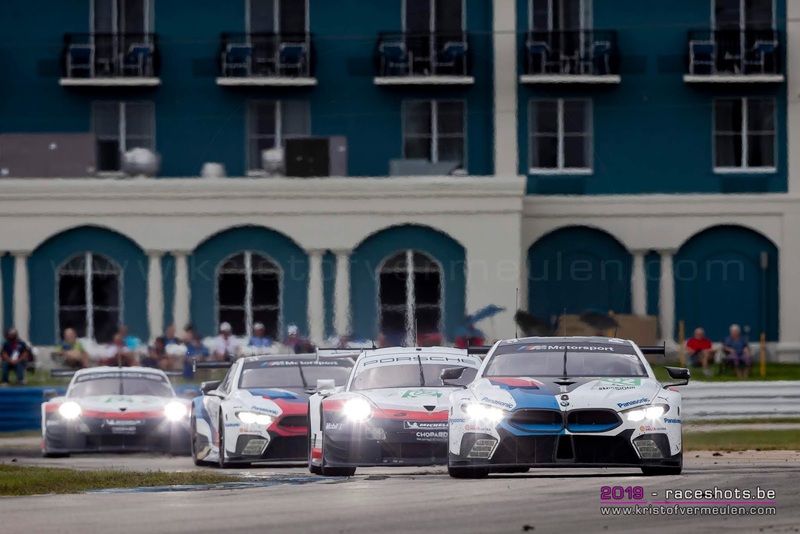 GTE Pro again proved to be the stand-out category of the race with 2 laps separating the first 10 of the eleven runners and almost every entry in the 11-car class enjoying a spell in the lead. Despite the back-and-forth between the teams, it was the heavy rain with less than 20 minutes of the race remaining that made the decisive difference; until this point the top 8 cars were all on the same lap. 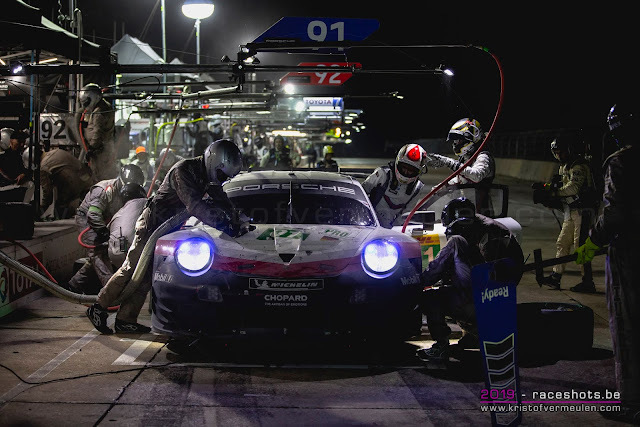 With teams scrambling to swap their slicks for wets, Gianmaria Bruni – in the #91 Porsche GT Team 911 RSR – jumped the #81 BMW Team MTEK M8 GTE (which had been the standout performer in class) in the pits and with the late safety car to recover the #28 TDS Racing Oreca, the Italian held on to secure the victory for Porsche. The #81 BMW M8 GTE finished second, the best result of the season for Martin Tomczyk, Nicky Catsburg and Alexander Sims, with the #67 Ford Chip Ganassi Racing Team UK Ford GT claiming the final spot on the podium; the Ford had led for the majority of the opening four hours, but faded as the race went on. James Calado, Alessandro Pier Guidi and Davide Rigon ensured four manufacturers were represented in the top four as the #51 AF Corse Ferrari 488 GTE Evo finished ahead of the #92 Porsche of Kevin Estre and Michael Christensen, Estre losing time late on with a stop & go penalty for rear-ending the #95 Aston Martin Racing Vantage of Darren Turner. 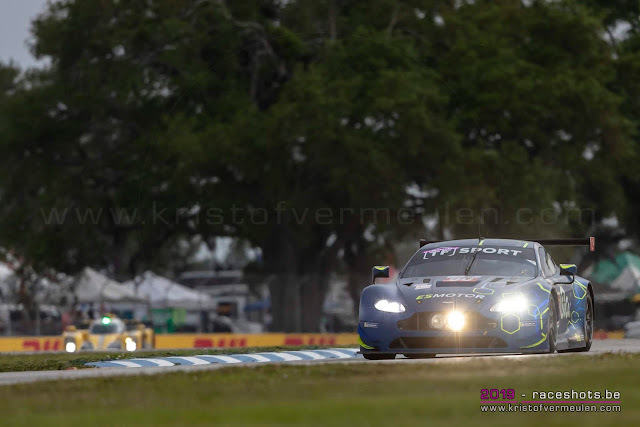 The Aston was running in second at the time, but the contact, which sent turner spinning across the grass, dropped the car down the order, ultimately finishing 10th in class. The #77 Dempsey-Proton Racing secured top honours in GTE Am to make it a Porsche clean sweep of the GTE classes with Matt Campbell, Christian Ried and Julien Andlauer snatching the win from the #54 Spirit of Race Ferrari which received a penalty for side-to-side contact which sent the Team Project 1 Porsche into the barriers early on in the race. Thankfully for the Project 1 team, who suffered an engine fire in testing which destroyed their original car, the damage proved to only be minor and thanks to a strong charge from Egidio Perfetti, Jorg Bergmeister and Patrick Lindsey, the team recovered to the third step of the podium. Gulf Racing took advantage of a black and orange flag for the #90 TF Sport Aston Martin – after the rear diffuser on the ageing V8 Vantage broke apart on track – to finish fourth. 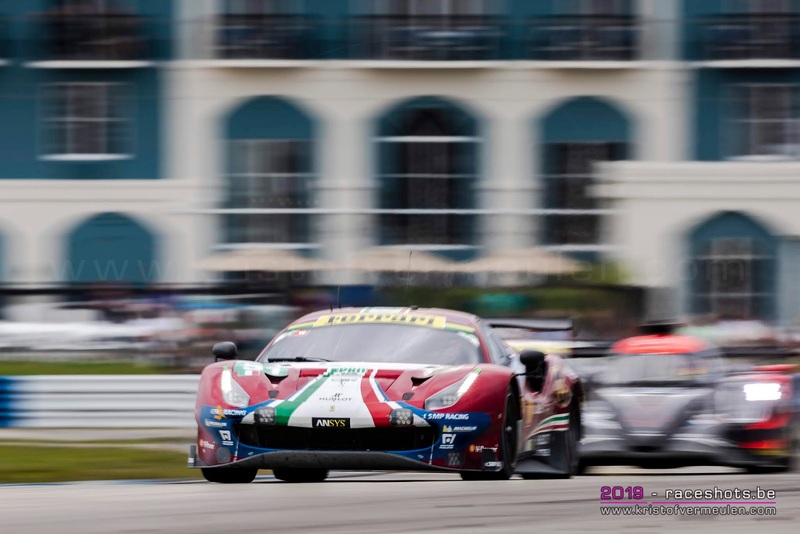 The TF Sport car crossed the line sixth after hasty repairs – behind the MR Racing Ferrari with the #98 Aston Martin or Paul Dalla Lana, Pedrom Lamy and Mathias Lauda rounding out the class 2 laps down. The FIA World Endurance Championship now heads back to Europe for the penultimate round of the 18 month Super-Season with its second visit to Spa-Francorchamps this season on May 4th.